The new Honda CR-V is flexible, fuel efficient, and fun to drive! The U.S. News and World Report has identified it as a top-ranked model in the compact SUV segment, and once you’ve had the chance to drive it around the Bartlett and Arlington areas, you’ll see why it’s winning praise wherever it goes. 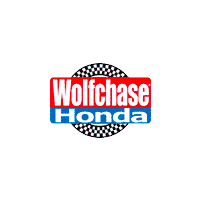 Don’t wait to schedule a test drive at Wolfchase Honda. Choose a New Honda CR-V from Wolfchase Honda! Once you’ve had the chance to explore our lineup of new Honda CR-V configurations, be sure to check out our rotating new vehicle specials and our financing opportunities. Even if you’re all the way out in Memphis or Cordova, you can get behind the wheel of your favorite trim today. Contact us to learn more!